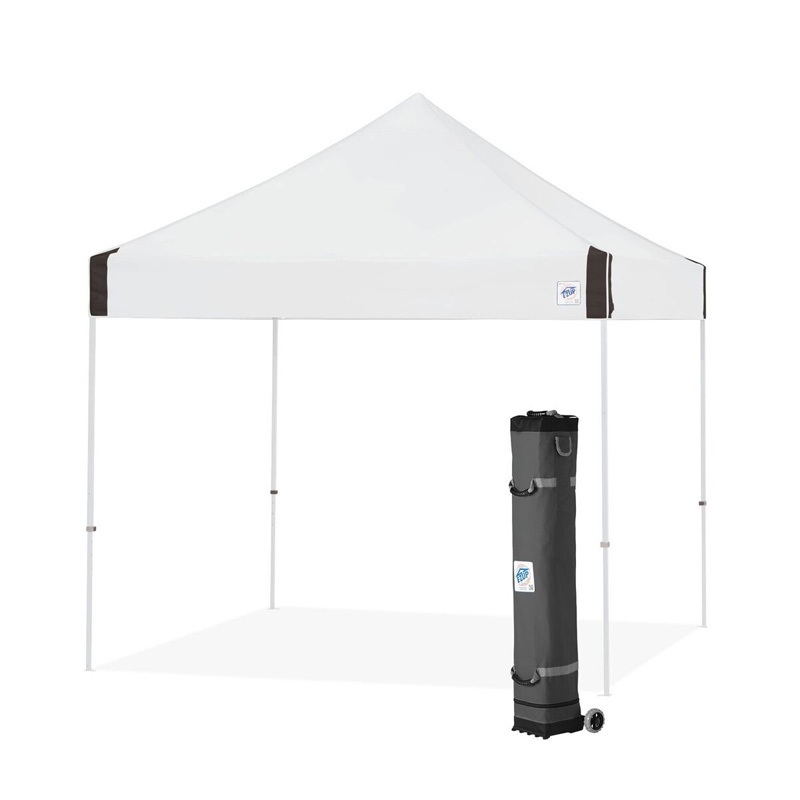 E-Z UP Vantage Canopy Shelter 10' X 10'. Sports Facilities Group Inc. Compete, sell, promote or relax your way in cool style with the new Vantage™ Instant Shelter®. Available in 8 NEW vibrant color combinations to separate you from the pack in any application. With a cross truss reinforcing inside and upgraded components throughout, the Vantage’s durability allows you to focus on the task at hand…or on nothing at all. 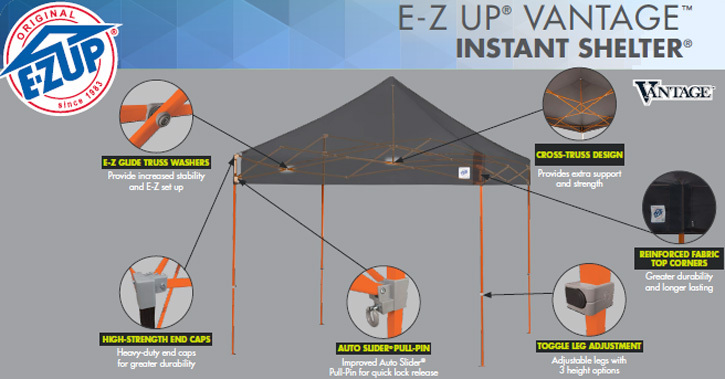 And the all-new upgraded roller bag ensures transporting the Vantage Instant Shelter is E-Z, stable and secure. E-Z UP quality, innovation and style has you covered. Designed for business or fun the Vantage™ Instant Shelter® provides a durable, yet stylish, portable shade and branding solution. E-Z UP® Railskirts and ProFlag™ Accessories can be easily attached directly to the shelter frame for an instant visual impact. 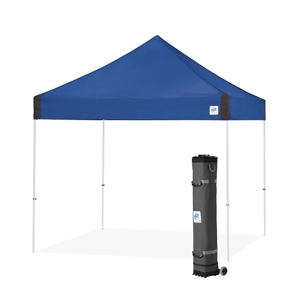 Why not customize your Vantage™ Shelter with full bleed, photo quality digital graphics to reinforce your message and stand out from the rest! Call us for a quote.